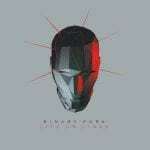 Background/Info: Future Lied To Us is a project driven by Krischan Jan-Eric Wesenberg (Rotersand), Vasi Vallis (NamNamBulu, Reaper, Frozen Plasma) and Thomas Lesczenski (SITD). After 2 digital singles released in 2017, here comes the debut album of this trio. Content: When you bring talented and visionary artists together you can only expect something ‘amazing’. 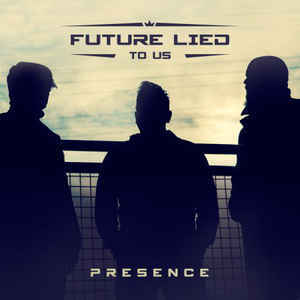 Future Lied To Us isn’t reinventing future-pop music, but “Presence” clearly sounds as they bring this music style back on the map of electronic music. “Presence” is a well-crafted album carried by impressive production skills. Some songs might remind Rotersand, but globally speaking the work is not a cheapo copy from one of the member’s bands they’re involved with. The songs are powerful, melodic, and emotional and a real lust for all lovers of professional electronic music. + + + : I’m not that surprised the album gets a great response in their homeland. It’s an intelligent and sophisticated electro-pop production, which sometimes evoke a sonic hybrid between Rotersand and Haujobb. Let’s not forget Wesenberg and Vallis both are recognized electro-pop artists. The originality is maybe far to find, but the elaboration of the songs is absolutely phenomenal. The production stands for a high-tech approach. The first- and last songs are more emotional pieces and still beautiful songs. – – – : I maybe expected more originality from this trio, but in the end they simply composed a meaningful piece of music where there’s no real single song to throw away. Conclusion: Future Lied To us doesn’t sound at all as a beginning band. I’m just wondering if they’ll go on composing new songs or if “Presence” is just a one-shot experience. Best songs: “Suffocate”, “Embrace A World”, “Faded Faces”, “Falling”, “Drops Of Silver”, “Born In Silence”.